The election community lost a good friend and colleague when Kathleen Christie (“Kathy”) Scheele passed away this weekend. Kathy served for 13 years as director of elections in the State of Vermont, and I got to know her in the early days of electionline.org, and continuing through my years at Pew, as a reliable source of data, guidance – and straight talk – about election administration and the people who do it for a living. I always looked forward to seeing her at meetings of the National Association of State Election Directors (NASED), where she was both a brilliant mind and an especially friendly face ready to discuss the latest trends at home or around the nation. She retired in 2013 but was still active online until very recently. My favorite thing about working with Kathy was her amazing balance between being a Vermonter – with deep loyalty to the small towns and cities that make up the Green Mountain State, and the many traditions of life (and election administration) in New England – and her fascination with new ideas and new approaches to how we conduct elections across the nation. She wasn’t always ready to go along with whatever crazy notion I was pitching at the time, but never failed to give me a hearing – or honest feedback about how it would or wouldn’t fly and how it could get better. Kathy Scheele was a great person, a great public servant and one of my favorite people in the election community. I am grateful that I had the chance to get to know her, and judging from the responses I’ve seen to her passing I’m far from alone. We’ll miss you, Kathy. Thanks for being such a great colleague and friend. Newby’s “Lehman Proposal”: Funding Voting Technology Via Levy on Political Contributions? 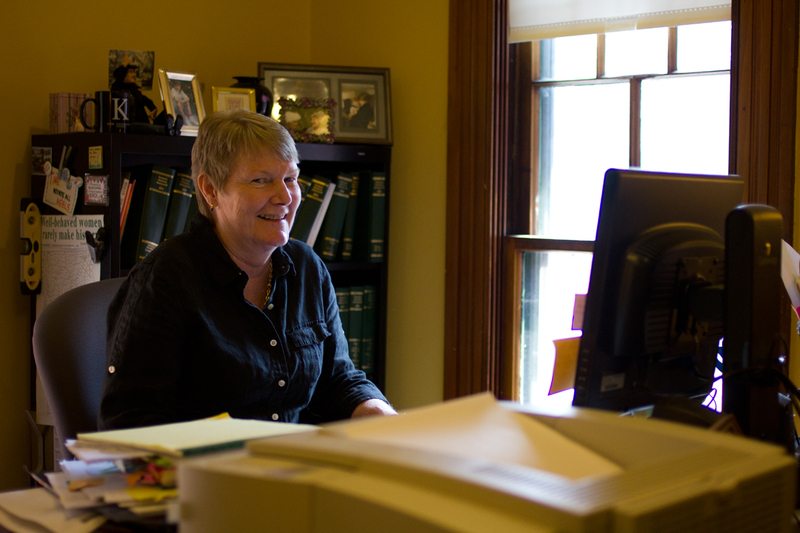 Be the first to comment on "Vermont’s Kathy Scheele: An Appreciation"
The copyright of these individual works published by the University of Minnesota Libraries Publishing remains with the original creator or editorial team. For uses beyond those covered by law, permission to reuse should be sought directly from the copyright owner listed in the About pages.